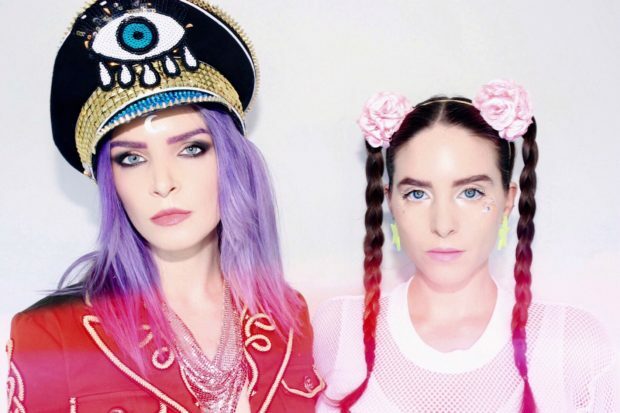 EXCLUSIVE: Novelties Premiere Mystical Video For "Potions"
Los Angeles-based duo, Novelties – comprised of Kelly Mylod and Sophie Noire – are one of indie-pop’s best kept secrets…until now. The duo lay on the top notch witchy sensibilities in new track, “Potions,” and it’s accompanying video, which we are honored to premiere today, captures the electricity of the track flawlessly. A dark-pop elixir inspired by mystical nights and revelry, it looks like Halloween came early this year, folks! Not mad.